» When will the mail stop coming? When will the mail stop coming? Parked after hours: The Postal Service has 140,000 delivery vehicles more than 20 years old and faces mounting repair expenses. Among all your worries, this one may not rank near the top, but it’s worth keeping in mind: How long will the post office be able to keep delivering mail to your rural mailbox on the side of the road? What if those delivery trucks wear out and can’t be replaced? “Annual capital expenditures have declined from $2 billion in 2008 to less than $700 million in 2013 to conserve cash. … The present level of capital expenditures is not sustainable. 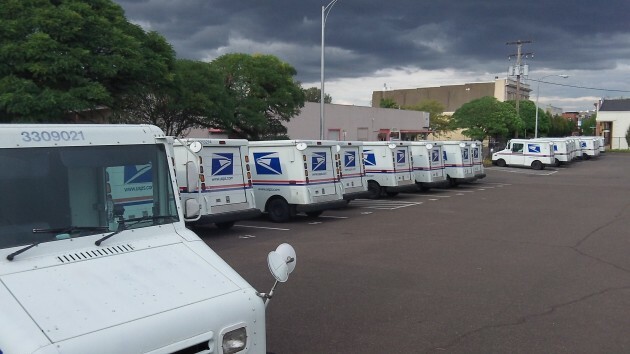 The Postal Service’s delivery fleet includes approximately 140,000 vehicles that are at least 20 years old and nearing the end of their useful life. Repair and maintenance costs for these vehicles have risen significantly in recent years.” This raises the prospect that one of these days not too far down the road, those delivery trucks will break down and there will be no money for repairs or to buy new ones. One of the reasons for the losses is that unlike other corporations or most public agencies, the post office must by law “prefund” health benefits for future retirees. The agency has been unable to make those payments for three years, but they are counted among its expenses anyway. It’s my understanding that they lose money on every piece of mail they deliver? Maybe if they limit Comcast to one mailing per month per address, they could both save millions.